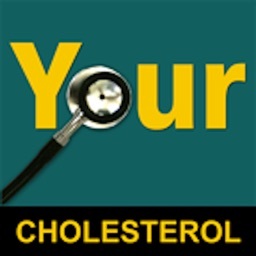 Cholesterol management is a complex, necessary task in a huge number of patient encounters. 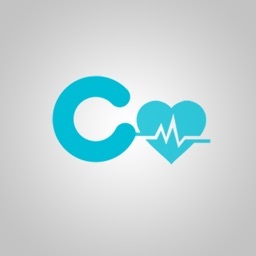 We know that getting it right is a vital part of promoting long-term health. Let ATP3 Lipids help! 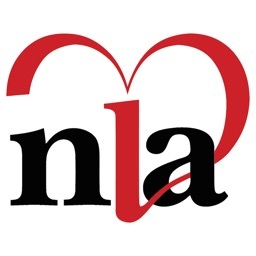 The Third Report of the Expert Panel on Detection, Evaluation, and Treatment of High Blood Cholesterol in Adults - or the ATP III for short - describes the evidence-based cholesterol testing and management recommendations of the National Cholesterol Education Program. 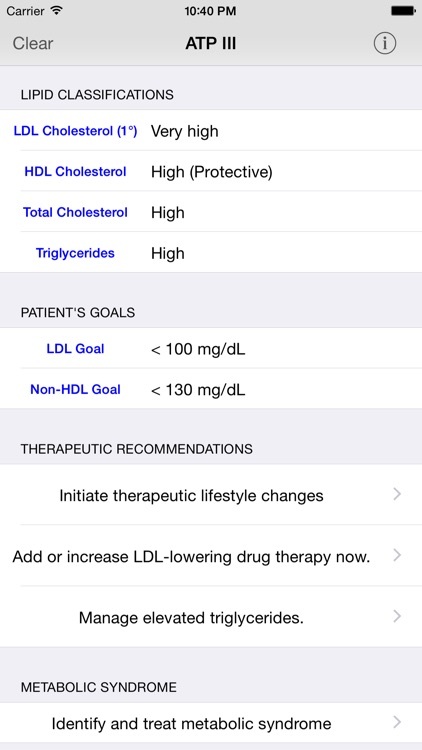 These guidelines categorize lipid levels by lipoprotein type, define cholesterol goals based on specific patient characteristics, and describe therapeutic recommendations for management of cholesterol and the metabolic syndrome. 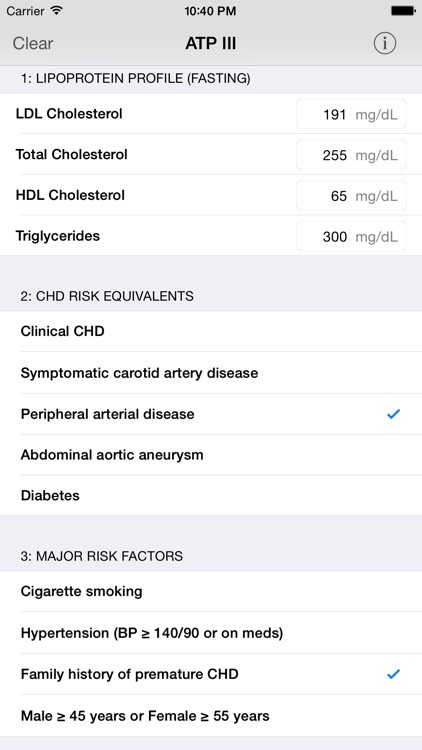 ATP3 Lipids puts fast and thorough access to this cholesterol management algorithm on your iPhone or iPod Touch, from your patients' specific cholesterol goals to details of cholesterol management drugs (dosing, percentage change, side effects, and contraindications). 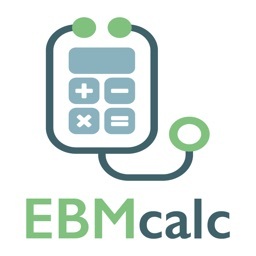 You input your patients' data - lipid panel by numbers and risk factors by simply tapping to select. 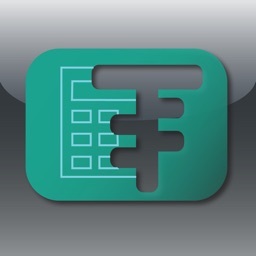 Input is beautiful and easy, using the popular interface from MediMath. 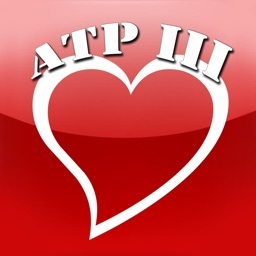 ATP3 Lipids then shows you the lipid classifications and specific therapeutic recommendations of the ATP III based on the lipid panel and risk factors. You can tap a recommendation to view further information. ATP3 Lipids includes a complete Framingham Cardiac Risk calculator which is automatically presented for use if the patient's risk factors indicate a need to evaluate the hard 10-year cardiac risk. The info button at the top-right displays the ATP III algorithm and reference tables in textual form (the Quick Desk Reference on which the ATP3 Lipids therapeutic recommendations are based). Tapping the 'Show Full Report' button from the info screen switches to the complete 284 page ATP III final report. ATP3 Lipids keeps track of the last information you entered and restores it when launched, with a Clear button easily accessible to begin working up the next patient. If you love the program, please leave a review. If you have comments, suggestions, or questions, please contact me directly at [email protected] as it's not possible to respond to reviews.